Step into Spring with a new pair of white trainers – it’s a great way to freshen up some of your existing pieces by pairing them with some nice new kicks! I think trainers are a personal choice, what you wear as trainers is a good indication of your style personality. 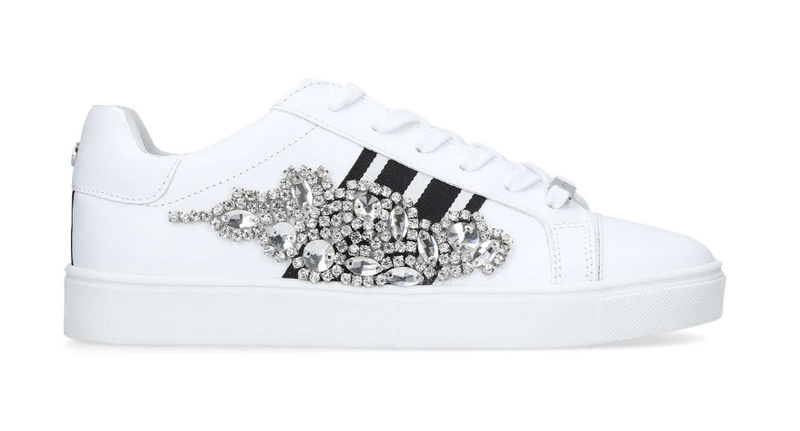 Guess is currently one of my favourite high street brands; I love a lot of their chain details on their accessories like bags and purses so I was super excited to see these gorgeous trainers when I headed into store back in February. 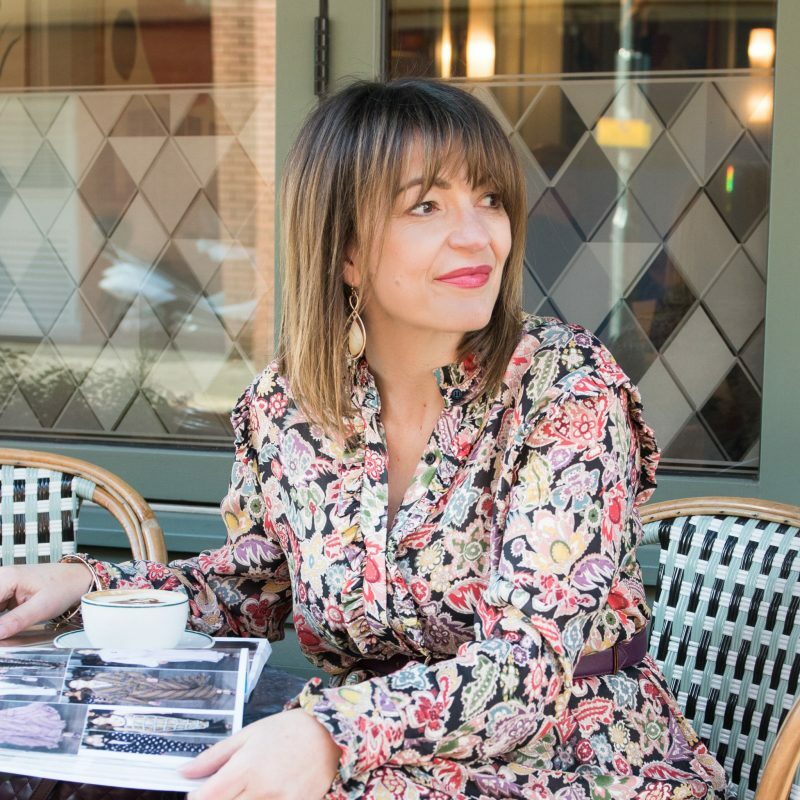 They were a lucky find because up until this point I had tried so many on – I thought I may have headed down a style of leopard print or maybe colour like pink and red, but as with any purchase if you fall in love at first sight, it’s the best purchasing decision you will make! This season there is a lot of choice and with high-low dressing being more acceptable and with many different industries allowing them as part of the office dress code it’s good to keep them fresh and tidy, as they can also represent your professional image. I personally won’t be wearing these to my office, as I want to keep them for off-duty, but a pair without the chain details then absolutely, that would be spot of for me! So here are a selection, I’ve tried pretty much most of them on, my biggest tip to you is buy from the heart – you will get your cost per wear fairly easily so don’t pick on price, buy because you love. The post 12 WHITE TRAINERS TO BUY FOR SPRING was on Loved by Lizzi first. Lizzi, Im really impressed with your new look site. First impressions are how professional it is, it’s light and fresh, modern and very easy to navigate! Thank you Caroline, it’s been quite journey to this point but I am so pleased how it has come together.